Spas are a retreat to break from the hustle and bustle of the city to rejuvenate minds and bodies. While the experience given is profound the woes of running into scheduling issues, staff allocation and customer management is quiet bad. As a spa owner maintaining and retaining your existing customer base is crucial for the success of your business. Regular customers’ vs walk-ins are the two types of customers who will typically visit your spa. And the majority of your business relies on the return customers. Walk-ins should always be welcomed too, because they might be your future returning customers. Spa software is a one stop solution that handles appointment booking, billing and customer retention marketing. 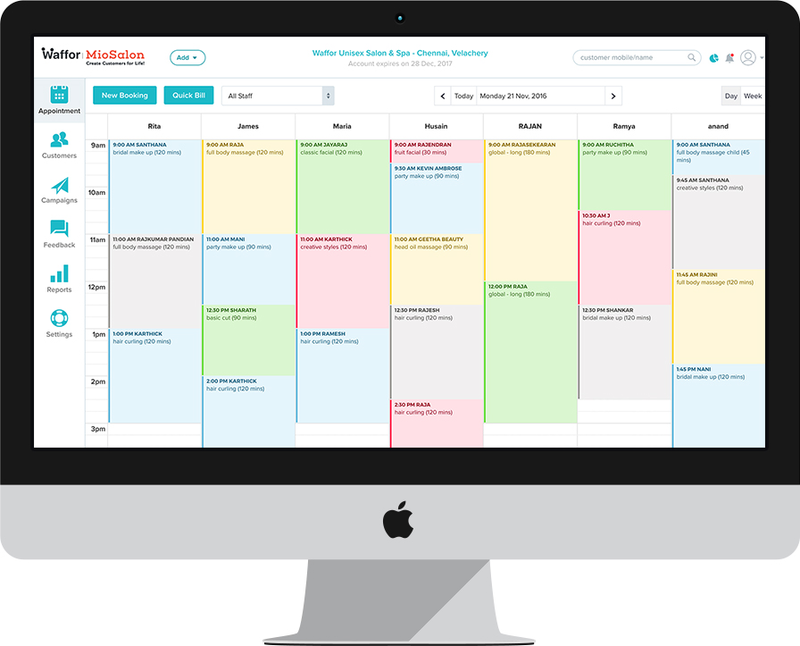 Create a Free Account MioSalon is the best and easy appointment scheduling and billing software for spas.